This article appeared in the TAA (Tropical Agriculture Association) winter 2016 magazine. 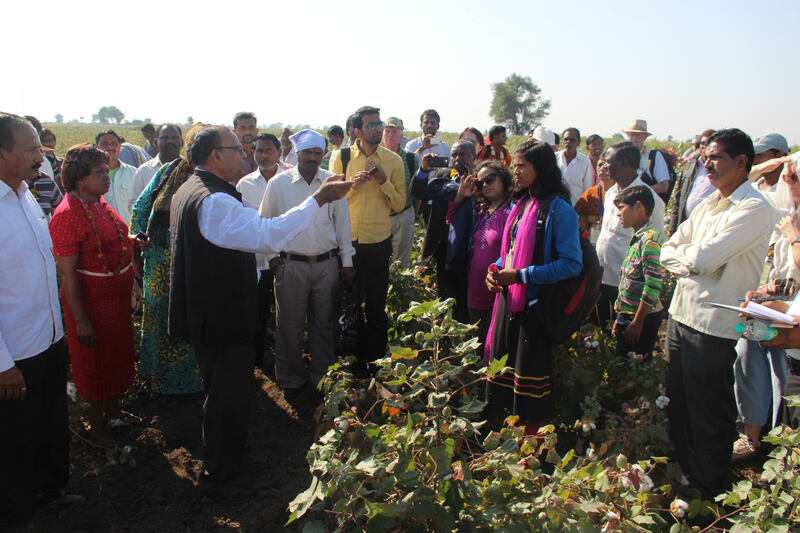 As a programme of Initiatives of Change – a global movement of people who are changing the world for the better, starting with themselves – Farmers’ Dialogue is part of a worldwide network of people committed to the task of transforming society through change in the individuals, beginning with themselves. For a long time, despite great differences in circumstances and climates across widely dispersed countries, there has been a common language between people who work the soil, many of whom have been at the forefront of improved farming methods and technological advances. Working cooperatively and exchanging ideas, they have played leading roles in significant agricultural developments and created lasting friendships as they share. In 1994, several French farmers were visiting Ove Jensen, a Swedish dairy farmer, and some of his friends on their farms. The Swedish farmers questioned the visitors on what they felt about Sweden becoming part of the European Union, as this was being considered at the time. These exchanges stimulated the idea of expanding this group of farmers for debates on policy changes affecting farming issues across the world. These dialogues were the catalyst leading to the creation of the first Farmers’ Dialogue that took place in Switzerland in 1994. Since then, nineteen International Farmers’ Dialogues have taken place in sixteen countries. Farmers’ Dialogue is attempting to create a space where farmers and agriculturalists can share their experiences and difficulties, their hopes and challenges, not only from a technical and agricultural point of view, but including personal aspects. Discussions are wide-ranging, alerting participants to the issues agriculture is facing, and inspiring farmers to kindle their passion, courage, hopes and ideas as they work the soil. Often, these dialogues have led to personal decisions, with significant consequences in terms of rural development on farms and beyond. Discussions often include extreme weather events, effects of global climate change or decreasing water quality, that are having catastrophic effects on millions of lives. They also include the essential need to carefully balance these vital natural resources and food production. It is tragic to witness the unequal distribution of food and at the same time the lack of understanding farmers receive. The question often arises, 'Why is there so much poverty in an industry that the world relies on? How can we encourage more trust and teamwork, and include farmers in the planning and decision-making processes of governments, agro-processing companies and consumers through the food processing and marketing chain?' Farmers take heart when they understand that agriculture has a vital part to play in making a positive contribution to our planet, whether it concerns the necessities of daily life, work, housing or a purpose to live for. Shailendra, a rice grower in India, attended a discussion hosted by Tata Steel, where it was suggested the participants take time to listen to what is known in India as the inner voice. Shailendra had the simple thought to apologise to his wife for neglecting her: this transformed their marriage, and relations with neighboring farmers improved. Duncan, a Kenyan dairy farmer with little formal education, gathered ten of his milk-producing farmer friends, and each of these farmers convinced more of their colleagues to develop a dairy cooperative, with each member donating one goat to raise funds. This cooperative began in 2000 with 210 members, and currently serves over 40,000 farmers, and plays a major part in the economic stability of their region. A Kenyan farmer, working for a Forestry Department, who took part in a Farmers’ Dialogue in India, launched four different projects in his area within two months of his return, applying what he had seen during farm visits in India. Alphonse, who farms in the Democratic Republic of Congo, attended a dialogue in Tanzania. Two years later in Kenya, he thanked the organisers, saying what he had learnt in Tanzania had changed the way he farms. He has since received a United Nations award for the tree-planting scheme he launched in his region. The challenge of Farmers’ Dialogue today is to enable farmers to share experiences with other farmers and make a positive contribution to our planet and to the daily challenge of feeding people. Some of the challenges faced by farmers are external: climate change, soil erosion, poor water resources, quality of food; but others are rooted in the society: isolation, rejection from society, low income, large divisions between cities and rural areas, and exploitation by large corporate companies. To have a sustainable supply of food in the future, farming must have good governance, security of land tenure, markets that are fair for all, and effective, along with dedicated approaches to tackle climate change and improve the sustainability of agriculture. These are issues affecting our lives and addressing these is a challenge that needs the immediate attention of politicians, corporate business and urban consumers. Farmers sharing experiences are motivated to changes of attitude and the desire to try new ideas. These developments are real and will grow. The challenge of Farmers’ Dialogue today is to foster this process. The global challenges and difficulties facing agriculture have not discouraged farmers – the main producers of the most vital ingredient of human life. Farmers’ Dialogue is aiming to enhance this commitment. Those of us taking responsibility for this programme continue to focus on the needs of people, and trust that we all have a part to play in feeding humanity.